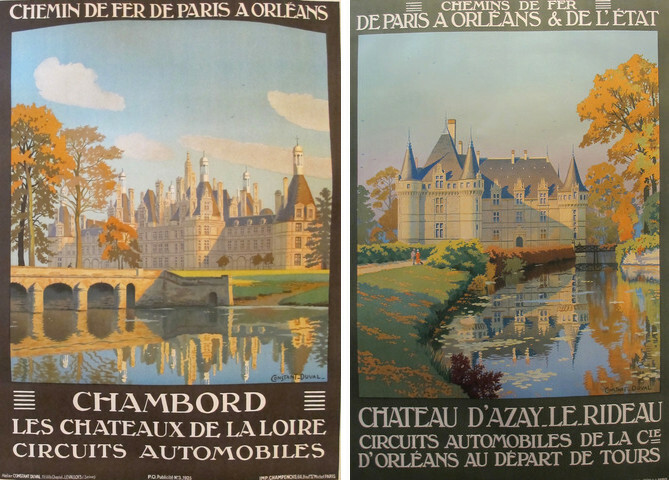 I have written before about some of our consignors (the men and women who entrust us to sell posters on their behalf): about how fortunate we are to work with them; about how each of their collections reflects their individual personalities; and about how grateful we are to share their posters with you. One of our consignors – let’s call him Dawg – is a Montrealer who, while working full time at a very well-known Canadian financial institution, became fascinated with vintage posters. Originally his focus was on military posters (primarily Canadian), but recently we’ve noticed that his scope has widened to include travel and product posters, an occasional movie poster, and some of those quirky hard-to-define-or-categorize posters. 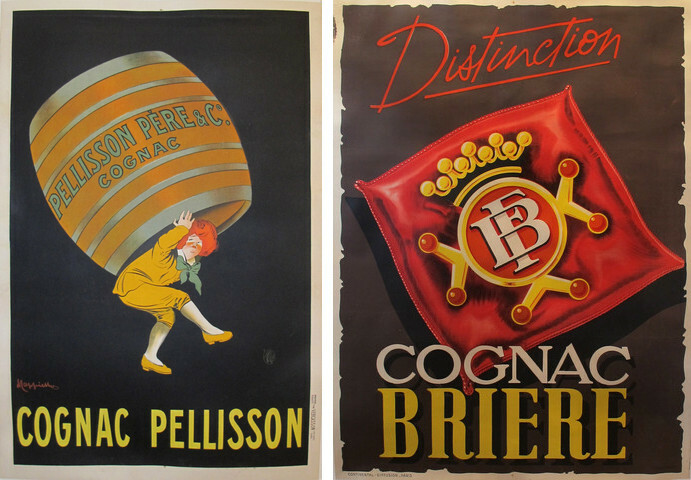 From the classic Cappiello to the less well-known Cognac Briere, Dawg’s collection (like our own) has something for everyone. I don’t know much about his personal or family life, but I get the sense that Dawg bores easily: in his spare time he has taught himself to linen back posters so that he could save time and money. (Linen backing, as I have noted before, is a lost, arcane art that requires infinite patience and skill. In some cases it requires restoration, bleaching or repair, and in all cases, it calls for soaking vintage posters in a bath of chemicals and glue. I’ve never actually seen it done, primarily because I think it would be hard to watch my babies get wet – they are old, they are fragile, and they really don’t like to get wet. Interestingly enough, once posters have been backed, their colors often look refreshed and more vibrant – even though there is nothing inherent in the process that would cause this to happen.) Now, instead of sending all our posters to the US to get backed, we give a large portion of them to Dawg – he’s that good! 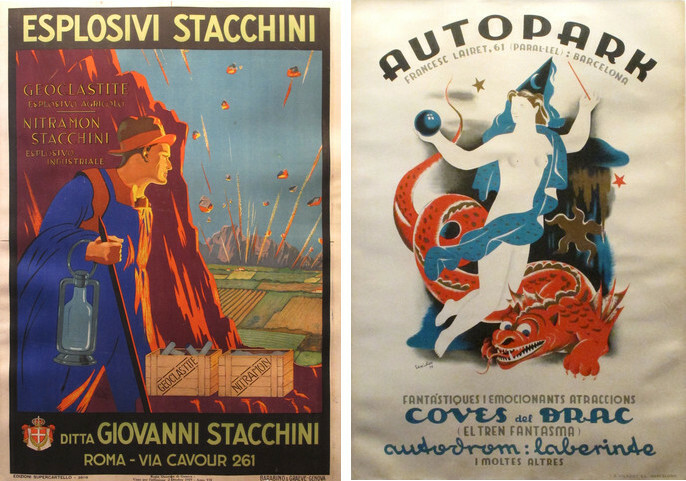 Part of the reason we love Dawg is his quirky and eccentric taste in posters – like these! He’s also ironic, polite, proper, handsome in a typically Canadian strong-jawed way, kind, loyal and very funny. We always enjoy it when he stops in to drop off his latest consignments, for even on the darkest winter days, he somehow manages to make us smile. Thanks Dawg – for your business, your posters, and your trust! Previous Has Spring Finally Arrived?